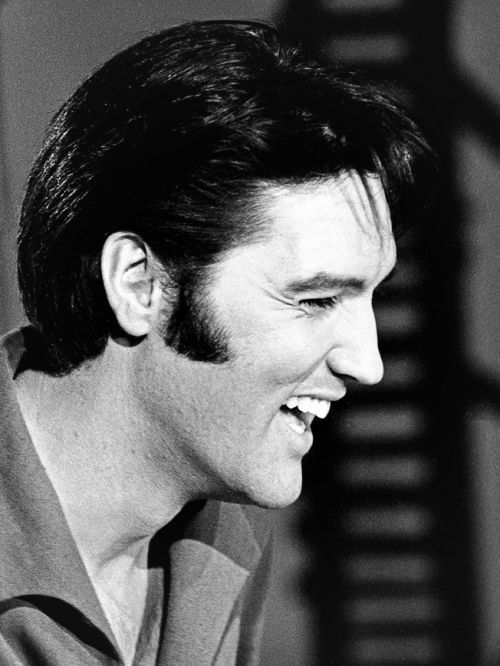 Elvis Presley a man who changed the face of music with a voice and a talent that has become legendary around the world. He has gone by many monikers...but who will be forever known as The King Of Rock And Roll. All you Elvis fans are welcome to join to share your love and art for the man, his music, and his legend. If You're Lookin' For Trouble? ~This group is wholey dedicated to Elvis Presley, The King of Rock and Roll. Anything involving Elvis is allowed. ~The group journal will be updated monthly with a featured song along with discussionary subjects such as his movies, music and Elvis news. ~Folders are titled so please submit your wonderful creations into the correct folder, the featured folder is reserved for more then exceptional pieces. "People ask me where I got my singing style. I didn't copy my style from anybody." Questions And Feedback Are Encouraged! Its been since Christmas this journal has been updated. Unfortunately I am not as active here on DeviantArt, but...I still like to check on my groups and the art every once in a while. I really love the art work that has been created and submitted here over the years and appreciate all of you new and old members. Finally, for the first time I am going to Memphis in the coming month. I am going to be visiting Graceland for the first time. I am also planning on visiting an array of places such as Sun Records, Stax, Beale Street, and much more. I am really excited and I know I am just going to cry of happiness when I set foot in the city. I will be more than happy to share photos and experiences here for those who have not visited but would like to. I would also like to hear if any of the members have visited Graceland and or Memphis and how there visit was. Leave a comment if you would like! I am counting down the days everyone just a few more short weeks till I am there. Check Out All Of Our Wonderful Affiliates For More Beautiful Art Work And Fun! Thanks for requestig another of my Elvis works. You are most welcome to use it. As usual it is traditional as opposed to digital, and is a watercolour painting this time. Thanks again. Thank you for allowing my work to be displayed in this group! You're very welcome and thank you for letting us display it here as well. Hey, Elvis fans, I've been featuring my Elvis artwork in Youtube videos. Lemme know what you think. Thank you! I'm glad you enjoy the group! Thanks for the membership, and accepting my first contribution. Thank you for the compliment ( I think ) but my ELVIS No. 453 is NOT digital and I trust you can move it from that section. It is traditional pencil work as I just don't do digital. And many thanks for adding my paintings. You are most welcome. I probably just submitted it to the incorrect folder on accident. I will be sure its sorted into its correct place.